When I first began my Vancouver hemp store, HEMP BC, in July 1994, my first hires were Ian Hunter and Danna Rozek, two people I’d met in the months prior to opening my retail shop at 324 West Hastings (across from the location, 18 years later, of Cannabis Culture Headquarters). I noticed right away that Danna and her friend, also hired at Hemp BC, Cindy Lassu, were ‘Deadheads,’ totally committed to the culture and language and music of the Grateful Dead. I remember my surprise and curiosity when Ian and Danna both yelled elatedly at 4:20 pm each afternoon I was in their company, "It’s 4:20, smoke ’em if ya got ’em." I had never heard that phrase or ritual before, and yet I’d been smoking pot (in London, Ontario) since 1981. I moved to Vancouver in March of 1994. I thought it was an odd west coast thing, something peculiar to Vancouver. In conversations I had with High Times editor Steve Hagar, I learned that it first became a ritual in the high schools of central California around 1976 or so. Up to the mid-70’s, high school classes went to 4 pm, so by the time school was out, and you got out of class, 4:20 pm became a time of congregation to smoke a joint. Some of those high school students were followers of the Grateful Dead, joining in the legendary treks across America following that ubiquitous San Francisco band on what is known as ‘Dead Tour.’ There they continued their smoking pot at 4.20 pm ritual with an enthusiastic "It’s Four Twenty!" So starting in those California high schools, those students graduated and continued their ritual in the very iconoclastic society of "Deadheads" that followed the band the Grateful Dead on their tours across America and Europe in the mid and late 70’s. 4:20 become an established part of Deadhead culture by the early 80’s, and when ever one Deadhead wanted to see how hip you might be, the question "What time is it?" began to be a litmus test of the culture. If you gave the regular time, you were ‘straight,’ but if you responded "It’s 4:20!" (no matter what time it was), you were cool, ‘one of us.’ In Deadhead culture, at 4:20 pm, one yelled out to friends, "It’s 4:20!" and joint smoking ensued. When in July 1994, in my little revolutionary activist headquarters HEMP BC shop open on Hastings St. in downtown Vancouver, I allowed the staff and any customers to smoke pot in the store, so at 4:20 pm every day, Danna, Ian, Cindy, and by November 1994, Dana Larsen, would yell "It’s 4:20" and everyone would light up. Back then, even most of our customers had never heard this ‘4:20’ thing before, as only a few months earlier, neither had I. In March 1995, while working as manager of my Hemp BC store, Danna and Cindy asked me at my desk, "Marc, can we have a 420 celebration next door at Hemp For Victory Square (which is what we called Victory Square at Cambie & Hastings back then) on April 20?" "What do you mean?" I asked, " You mean we should go over and smoke in the park at 4:20 on April 20 because that’s the 4th month, 20th day?" "No," replied Danna, " I mean we should party over there all day on April 20, not just at 4:20 in the afternoon." "My God, no, that’s decadent, we can’t party all day" I said, being very much of the Ayn Rand school of cannabis liberation, and thinking a day-long party was unthinkable to my capitalist work ethic. So Danna and Cindy went back to work in the store. An hour later Danna came back to me and said, "Even though you don’t approve, can we do it anyway?" I thought about that and asked, "Well, what would you do?" Danna replied, "We’d get a PA system, invite a few bands, give speeches, smoke lots of pot, from, say, noon to 5 pm." "Do you think we’d get away with that?" I asked incredulously. "Yes! It’ll be so much fun." "All right. You can give it a shot." I conceded. "Will you help us because you have the money and we’ll need electrical power, cables, PA equipment, and other things?" she cajoled. "Okay," I remember laughing at her audacity, "I’ll help you." On April 20, 1995, it was a beautiful sunny day, and 6 cables ran from various electrical outlets at Hemp BC seventy-five feet to Victory Square to supply power for the PA system, the microphones, amplifiers. The party began around noon but because it was a very new idea, never done on April 20 any time before, there were about only 150 people by 2 pm, peaking at 250 people at 4:20 pm. Nonetheless, open pot smoking went on for about 6 hours without any police interference, much to my surprise, only 25 feet from a major intersection of Hastings and Cambie. Everyone who came seemed to have a wonderful time. The following year, in 1996, at Victory Square again, 500 people came at its peak. For 1997, we moved the event to the Vancouver Art Gallery, its current location, where about 1,000 people came. By 2003 and 2004, 3,000 people attended at its peak at 4:20pm, but in 2005, the number attending exploded to 6,000, and every year since then, numbers increase, with 10,000 in 2009, 13,000 in 2011, and upwards of 15,000 expected this year. You can see video of Vancouver 4/20 from 2006 to 2011 at the website www.Vancouver420.com. My pioneering video website www.Pot.tv has archival footage of the 4/20 from 2002 to 2005. When YouTube came out, videos of our smoking protest party went viral and the event was emulated in other cities. Now the Vancouver event is so popular, hundreds of people come as early as 9 am to start the party, with thousands at the art gallery grounds by noon, and by 3 pm it is densely packed. From 2000 to 2008, the master of ceremonies was activist David Malmo-Levine, who at 4:10 would ask people in the crowds to sit down while he and other ‘volunteers’ tossed joints out to the masses, making sure all would have something to smoke at 4:20 pm. Then Peter Tosh’s ‘Legalize It’ would play at 4:20 pm and a huge, incredible plume of bluish smoke would rise above the assembled mass; you could smell it 3 to 4 blocks away, and on video and in photographs looked spectacular. Over the years pot vendors selling joints, bags of pot, pot cookies, pot brownies, and various cannabis consumables became a prominent aspect of the festivities. Never in the history of the 4/20 celebration have police interfered with selling or consumption of cannabis. Beautifully, there have been very few incidents of cannabis overuse and virtually no unhappy medical emergencies. For 2011 and 2012, the event has become very sophisticated, with excellent musical entertainment organized by Adam Bowen, featuring musicians and genres from across the musical spectrum, with prominent staging and sound amplification. Media from all over Canada photograph, videotape, broadcast and cover the event. As always since the beginning, www.CannabisCulture.com has coverage of the event. In the recent decade, April 20 celebrations by the cannabis culture began to be seen everywhere around the world, certainly every major city in the United States and Canada now has a April 20 celebration, and in Europe, Australia, New Zealand, and South America. That’s the power of YouTube and 4/20! 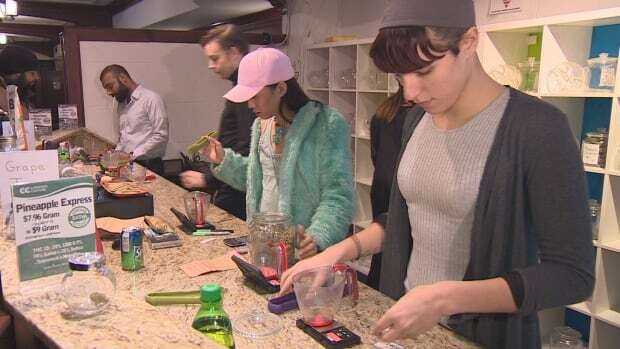 This day is now famous everywhere in the world now as ‘the national holiday of the cannabis culture,’ but we’re proud it started here in Vancouver first, 17 years ago, in 1995!